After a long day of flying and the discovery of a new airline nemesis in Jet Airways (Air Asia may have had interminable delays, but at least they didn’t destroy my backpack! 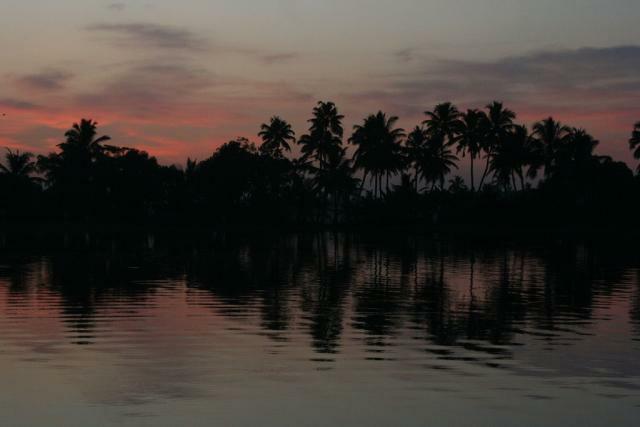 ), we stepped out into the tropical air of Kerala, a meandering and idyllic state in Southern India. Interestingly, in 1957, Kerala became the first state in the world to freely elect a communist government. Despite Communism’s relative failure in other parts of the world, the Keralan system boasts an impressive track record. Labeled the “most socially advanced state in India,” its 91% literacy rate is the highest of any developing nation and it’s 73-year life expectancy is 10 years higher than the rest of India. 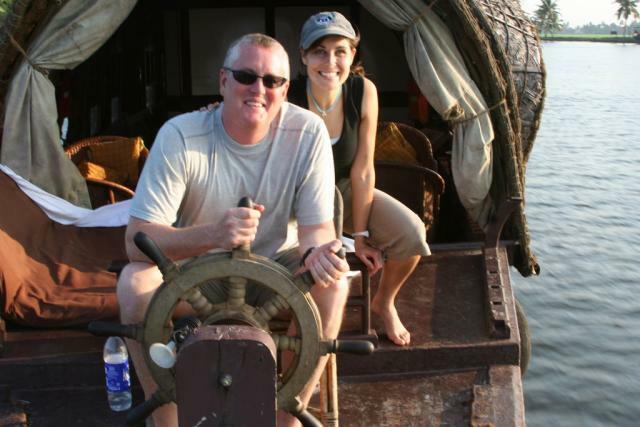 Upon our arrival in Kerala, we found our way to a lovely homestay in Fort Cochin, with hosts Mary and Harry. Enjoying the incredible meals that our hosts offered up, we basked in the knowledge that we were back in a country celebrated for its food. Bring on the curries, the puri, the spice! This area has been colonized by Portuguese, Dutch and English settlers alike. As a result, many of its charming buildings have a distinctly colonial feel. We spent two relaxing days exploring the town via foot and motorcycle (an adventure in itself on India’s crazy streets! 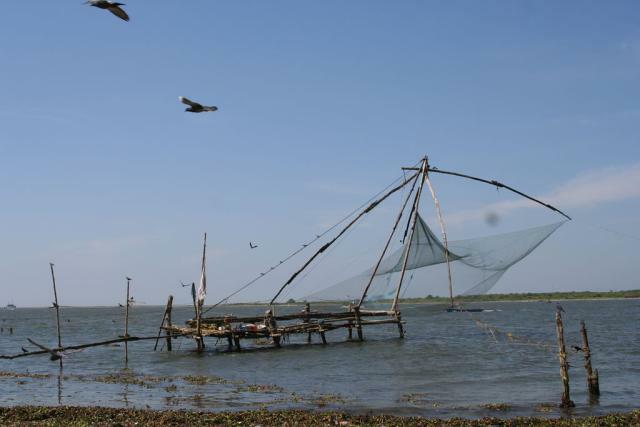 ), watching local fisherman maneuver their huge nets and joining Indian weekenders at nearby Cherai Beach. Because my father is from Delhi, my family has been to Northern India a couple of times, but, until now, I’ve never ventured down south. The Kerala tourist board proudly touts this area as “God’s Own Country.” Right now, that seems pretty close to the mark. As I write this, we’re partaking in Kerala’s star attraction; that is, we’re floating along its lazy, palm-lined backwaters aboard a houseboat built for two (along with, err, a chef and two drivers). The sun is setting, it’s a balmy 75 degrees, and I just snacked on bananas fried in coconut. Sometimes, long-term travel is difficult. This is most definitely not one of those times.